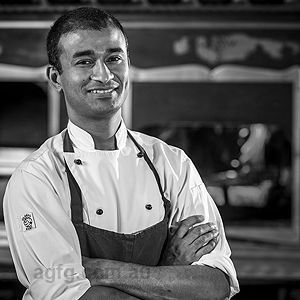 Arriving on the Gold Coast fresh from working in Sydney, and more recently, Melbourne’s busy restaurant scenes, Sam’s nine year career as a chef has seen him work in some of Europe and Australia’s best kitchens. 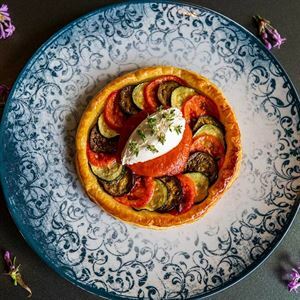 “I’ve worked in some great restaurants since living in Australia, including Greg Doyle’s upscale Sydney restaurant Pier and CBD favourite No41 Chifley Place,” said Sam. 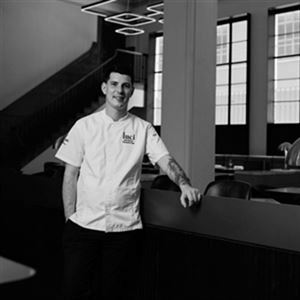 Before joining the Gold Coast team, Sam was working at Sofitel Melbourne On Collins’ signature restaurant No35, where he says he enjoyed an inspiring view 35 levels above Melbourne and an equally inspiring contemporary menu. As my father is also a chef, I grew up in kitchens. 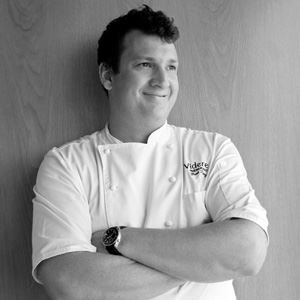 My passion for good food continued to develop as I got older and had the good fortune of working with and learning from great chefs both in Europe and here in Australia. 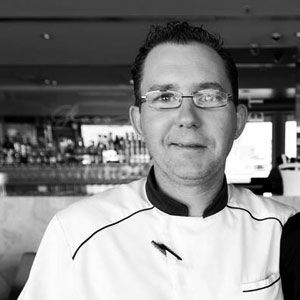 Chefs such as Stuart McVeigh with whom I worked with at No35 were a great influence on me, they helped and encouraged me to develop my own style. I can’t imagine any other life other than in a kitchen. Although predominantly European-influenced, I love experimenting with modern techniques and modern dishes. I love using different utensils such as smoking guns, liquid nitrogen and sous vide methods. Consistency and using the best quality produce. The possibilities and opportunities to try new things. An ingredient you can’t live without and why? Salt – it enhances the flavour of every dish, be it savoury or sweet. 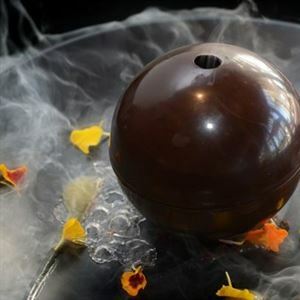 ‘Valrhona Chocolate Sphere’ – brought to the table as a round ball of chocolate deliciousness, it is then smashed in front of the guest to reveal chocolate soil, homemade honeycomb, orange jelly with chocolate ice cream and orange sorbet. ‘Wagyu’ - kobewagyu rump full blood marble score 9+, braised cheek, mushroompuree, caramelized onions and sauce bordelaise. On the ground floor of the Sofitel Broadbeach is room81, a refined and exclusive venue where dining finesse enchants. An intriguing food journey encompasses an array of mouth-watering morsels, showcasing Chef Sam Moore's latest cuisine creations. Uncover piquant delights featuring fresh, local produce throughout decadent 12 or 5 course menus, with plates such as crumbed clam with peas, potato, smoked bacon and finger lime, or lamb served four ways with lettuce, lamb fat and cappuccino making an appearance. Both menus finish on a sweet note of either flavours of lemon, lime and bitters, or the creative “burnt Earth,” of dark chocolate, orange and pistachio. These celebrations of flavours have evolved from once rather classical roots.